SHWAAS SHRI GYANCHAND GULABDEVI MEMORIAL CHARITABLE TRUST is located in Jaipur Rajasthan . SHWAAS SHRI GYANCHAND GULABDEVI MEMORIAL CHARITABLE TRUST is registered as a Trust at Jaipur of state Rajasthan with Ngo unique registration ID 'RJ/2009/0018005' . 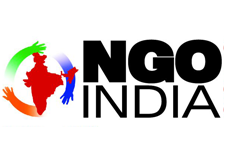 The NGO registration is done by Charity Commissioner with registration number 66-Jaipur-2009 on the date of 05-10-2009, Its parent ORganaisation is PaulFoundation. The Chairman of SHWAAS SHRI GYANCHAND GULABDEVI MEMORIAL CHARITABLE TRUST is Dr madhavender Jain and Chief functionary officer is Dr Madhavender Jain. Promoters are Narendra Singh Mohnot, Manish jain, Mitesh Sharma,Abha Sharma.